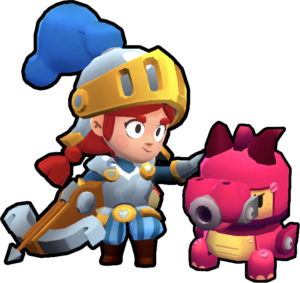 Jessie is one of the powerful Characters in the game, She is lovely as her name, She is a girl genius who mainly uses turrets from scrape to assist her kills. 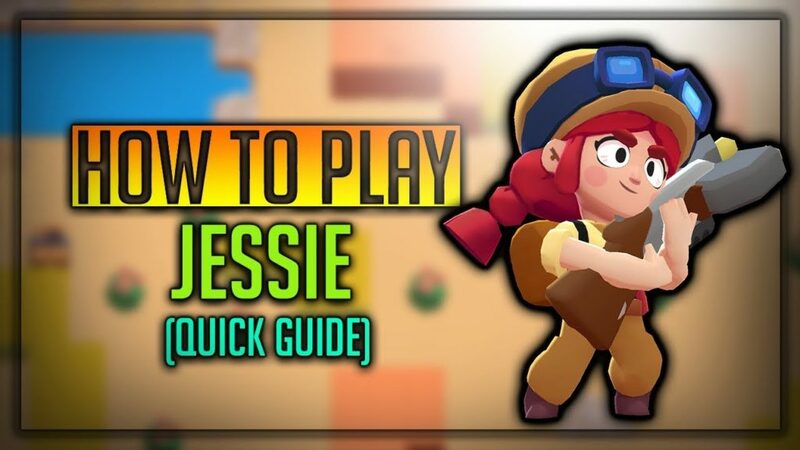 Jessie is a powerful Brawler unlocked when you have 500 trophies, She fires a Ball orb which is her attack, Let’s discuss Jessie’s Stats, Strategies, Tips, Tricks, Strength, Weakness and much more! 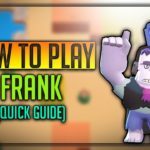 Read till the end to get maximum out this article. Jessie has Shock Rifle which shoots an electric orb, Which bounces and damages enemies. Jessie’s Special is a turret which shoots around the radius which its covering. It has been said in the quote that, Shock Rifle is her invention. Jessie shoots out a Medium range energy orb, Which travels in a focused area, Damages enemy huge. Her Attack bounce, When it hits an enemy brawler, So if there are more enemies nearby, Damage is inflicted to other Brawlers nearby too. Her Orb can hit 3 enemies when they are near before disappearing. It is her medium Ranged Attack. Width of her attack is somewhat broad. 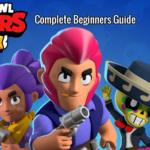 Brawl Stars is launched worldwide, Download the latest version now! Jessie’s Super is really awesome, She deploys a Gun Turret, Which Shoots enemy. The Turret provides her good coverage, Defense as well as a Great Distraction to the enemy. The damages taken by the Turret are added to Jessie’s Special Recharge, Very useful. It has moderate damage and health and medium range. The Stationary Turret fires over opponent all over its radius, Very useful to capture area. 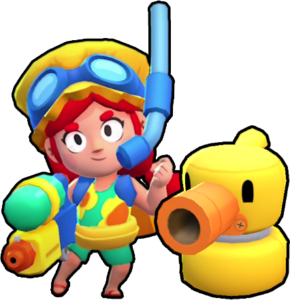 Upgrade Jessie, So that you could improve power and Hp of her turret too. Jessie turns her rifle and when shot her own turret, It will heal her turret 800 points. Which might be useful upto some extent. Orb will bounce to the closest enemy as normal after hitting the turret. As Jessie’s electric Orb could bounce, Two to three targets nearby, If you could attack one of the 3 targets nearby, One shot is capable of damaging all the three enemy members. Her Turret is very powerful in terms of supporting, Capturing area, Providing Support, Turret acts like the fourth player in the game, Very helpful. The Turret distracts enemy completely and it rotates and shoots the enemy, It is one of her greatest strengths. She has a decent range. She is master of distraction, The turret shoots the targets nearby. 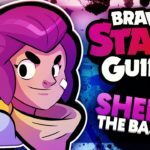 Jessie has low HP, When close combat Brawlers come near then its GG. If all the enemies split and attack, Then its very tough for her to do multiple damages. Single target firepower is not that much good. 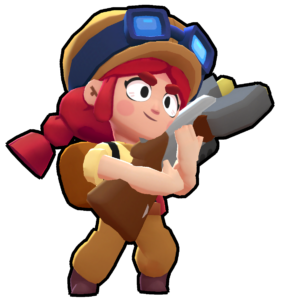 Using Jessie is simple as others, You have to use left analog to control Jessie’s Direction, And right analog to aim and shoot, Special Projectile the turret over the surface where you want. Always try to hit the enemies with his friends nearby, So that Jessie could deal multiple people damage and load up her special very fast. Jessie’s Turret could do awesome damage if left unattended, Make sure its placement in a good place. Hide Jessie’s turret in bushes, So that enemy could take damage, By coming near to it, Let the turret do its work. 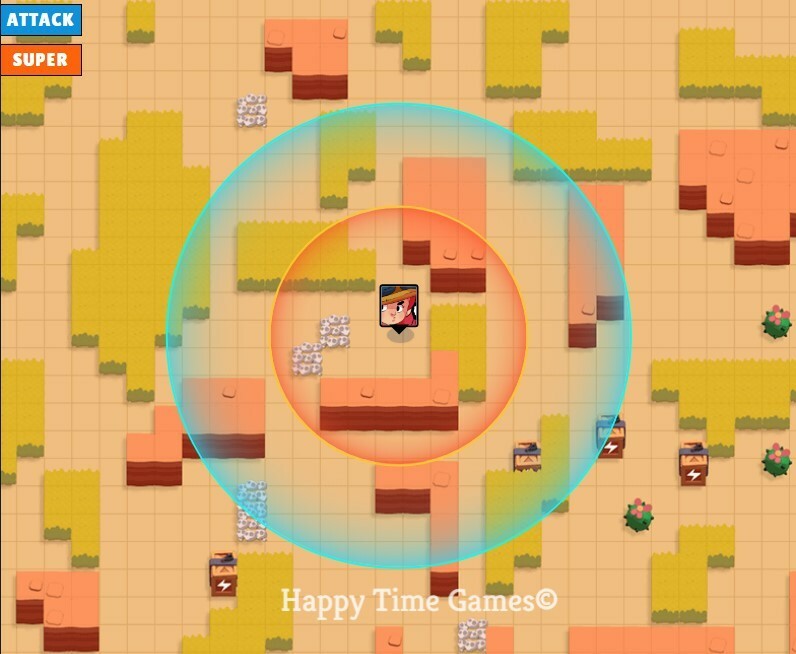 At the start of the game, Try to guess the area where all the brawlers will come as a team, Then Shoot all the 3 bullets at the same time, Which could get Jessie multiple kills if done properly. 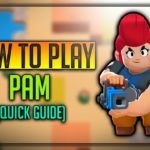 She is very good when the matchup is against another Jessie, You can shoot other turret, Enemies fixed object, Which won’t move, Attack their, Then the ball will move to a nearby enemy. She is Good against enemies when they all are close. 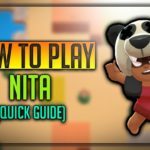 She is very good at Gem and Grab and Bounty! 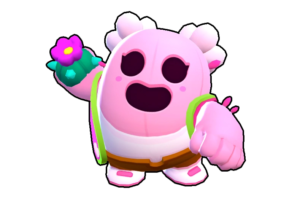 Jessie could easily help in capturing the main field, However, support of some close combat Brawlers Needed, Place the turret in the bush, And Keep on grabbing the gems. In Heist, Turret could help to defend the Heist locker. These are the different Jessie’s Skins which you could unlock by spending some gems, Jessie is brawler which is unlocked when you have 500 + trophies. 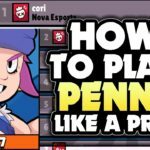 We hope you have liked the complete guide about Lady Brawl Star “Jessie“, She is a very powerful Brawler, If you use her properly, You can dominate any kind of event games.